It's almost that time... time for your AudioSynced roundup! If you've posted about or reviewed audiobooks in March, I would be ever so grateful for a link to include in this month's roundup! Post your link in the comments or email to abbylibrarian@gmail.com. If you didn't review any audiobooks this month, neverfear! 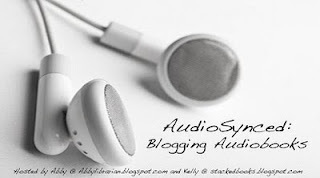 AudioSynced is a monthly feature, hosted by myself and Kelly of STACKED.